• Adult men have about 130,000 scalp hairs and women about 150,000. 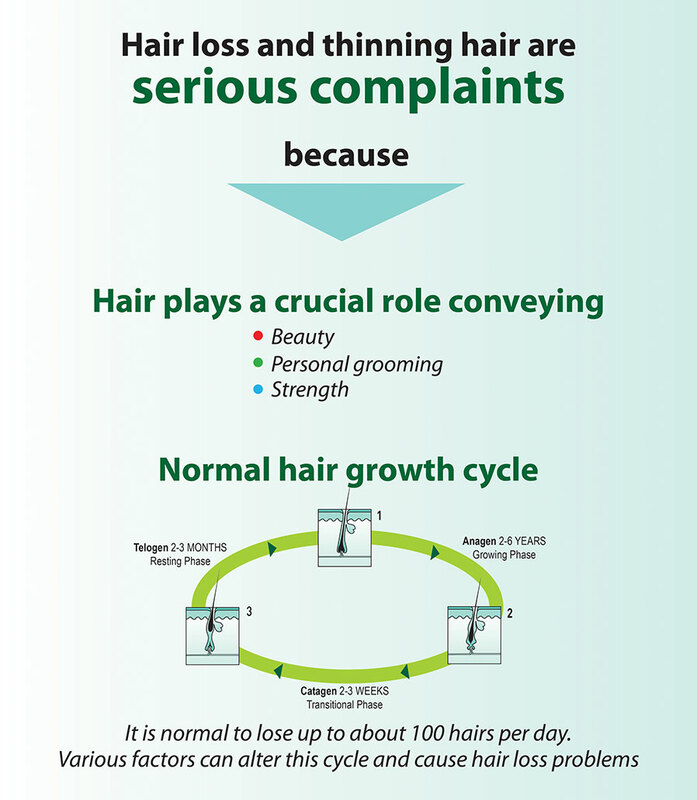 • Every day about 50 hairs die and are substituted by new ones, since the follicles have synchronized growth cycles at any one time. Telogen Effluvium: temporary and excessive hair loss due to emotional stress, medication, change in the seasons, unbalanced diets, smoking, childbirth. 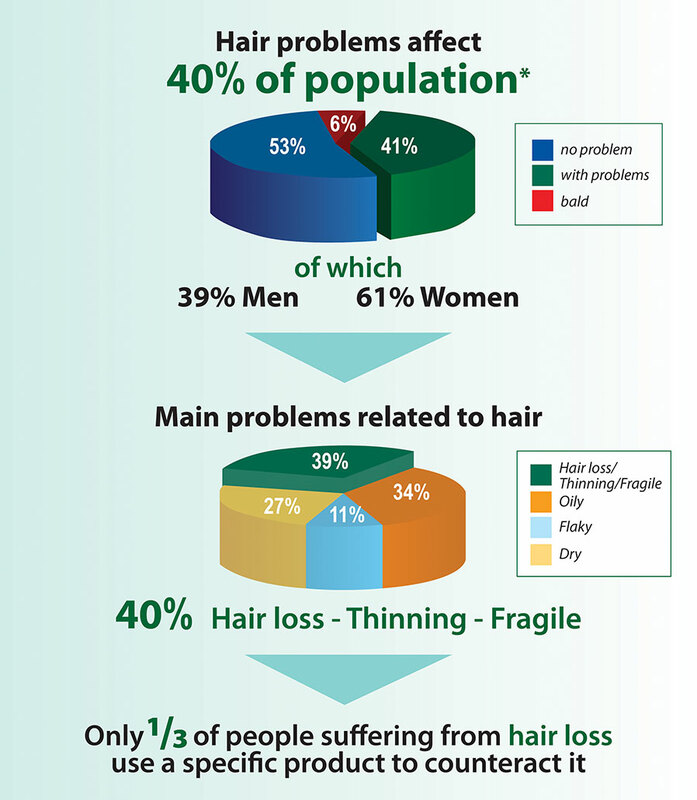 Androgenetic Alopecia: A slow and progressive hair thinning due to androgenetic hormones and hereditary factors.